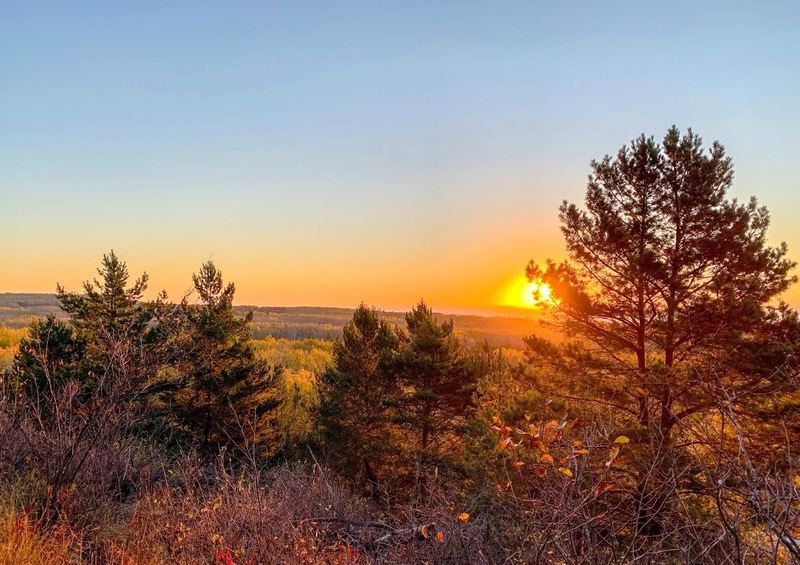 Enjoy the sunrise on this last day of October. Joseph L Block arrived Duluth this afternoon with a load of limestone. Cuyahoga arrived Duluth this morning to load iron pellets. Eemsborg departed Duluth this afternoon loaded with beet pulp pellets. Ranger III, the passenger ship that carries visitors out to Isle Royale, arrived Duluth this afternoon. James R Barker departed Duluth this afternoon. Edwin H Gott arrived Duluth this early this afternoon. Paul R Tregurtha arrived Duluth early this morning for a load of coal. Algoma Compass departed Superior this afternoon. The Full Moon of October as seen through the Lift Bridge. Great Republic arrived Duluth early this morning. American Mariner and Michipicoten arrived Duluth this morning. The moon will rise at 18:37 CDT. 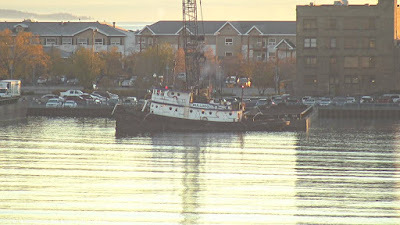 The large tug working at the Minnesota Slip is named Bulldog. CUYAHOGA and CAPT. HENRY JACKMAN arrived Duluthearly this morning to load pellets. While the full moon is actually tomorrow, the lighting and reflections over Lake Superior and the Duluth-Superior Harbor were fantastic tonight. Don't forget to watch the full moonrise tomorrow night. This video is from last March. Philip R Clarke arrived Duluth this afternoon. Mesabi Miner arrived Duluth at noon today to load iron pellets. We are now able to upgrade the internet speed at the Marine Museum by 40%. This will make for smoother camera viewing for the Canal Cam and the Bridge Cam. I will be giving an informational talk at the upcoming Gales of November event which is a fundraiser for the Marine Museum in Duluth. 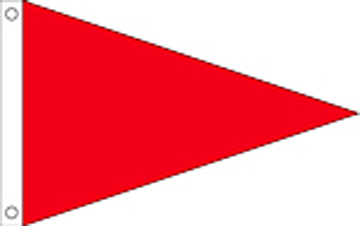 I will be describing the harborcam operation and how much it means to myself and to the webcam viewers like you. Just wondering if you could take a minute to comment with your first name, where you are from and why you enjoy the cams. I will read some in my talk. 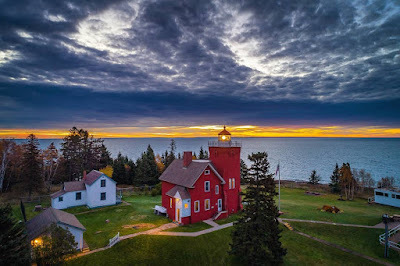 Hon James L Oberstar arrived Two Harbors early this morning. James R Barker arrived Duluth this morning. 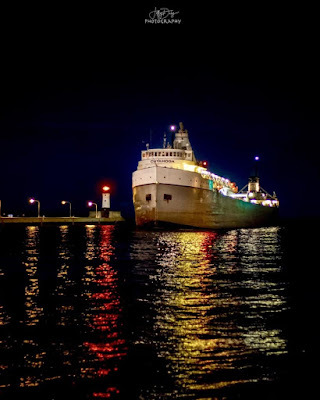 Herbert C Jackson, Paul R Tregurtha and Indiana Harbor arrived Duluth arrived overnight. Timelapse of this mornings sunrise - I also happened to be out with my camera this morning and snapped a few images from Hawk Ridge along Skyline Drive. 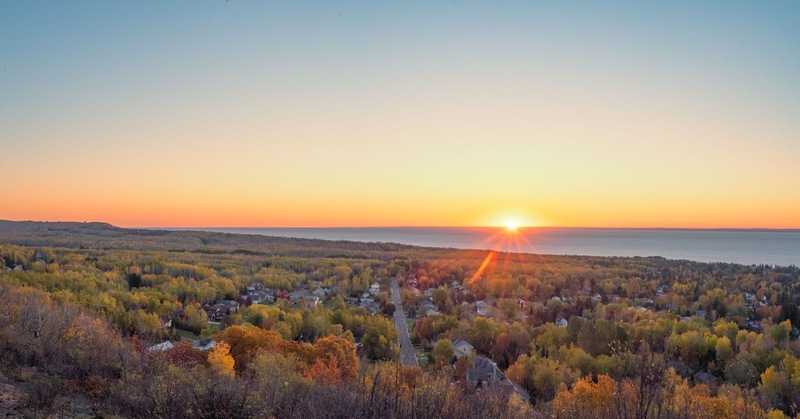 Algoma Discovery arrived Two Harbors early this morning. A big thanks to all who donated to the fundraiser for 2019 streaming services. Update: 10/16/2018 -- We have reached the goal of $3700 -- thank you all so much for the support of the harborcams. The subscription charges for camera streaming are coming due. We are able to stream the cams at a discounted price from Angelcam because we have so many cams and have been with them for so long. It cost $370/year for each of the 10 cameras. We are starting off with $600 due to previous donations and sincerely appreciate any support. which is in effect from 10 PM this evening to 7 AM CDT Tuesday. the evening. 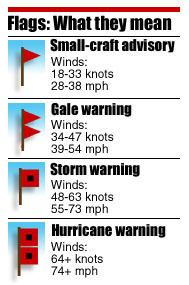 Gale force gusts up to 35 knots late tonight. * Waves...9 to 11 feet. Roger Blough arrived Superior this afternoon. Federal Bristol arrived Duluth early this morning. Edwin H Gott departed, Mesabi Miner arrived Tow Harbors today. Assembly of the Bentleyville Chrismas Tree took about 4 hours this morning. Of course, there will be many hours to get it functioning. James R Barker arrived Duluth early this morning to load iron pellets. FYI, I will have the Pier B and Hillside cams focused on Bayfront park today while they move the steel structure for the Bentleyville Christmas Tree into place. Philip R Clarke, American Century, American Spirit and Cason J Callaway arrived Duluth through a calm Duluth Shipping Canal. A powerful Noreaster packed a punch as it slammed into the rocky cliffs of Lake Superior's north shore with incredible waves and 65MPH winds. 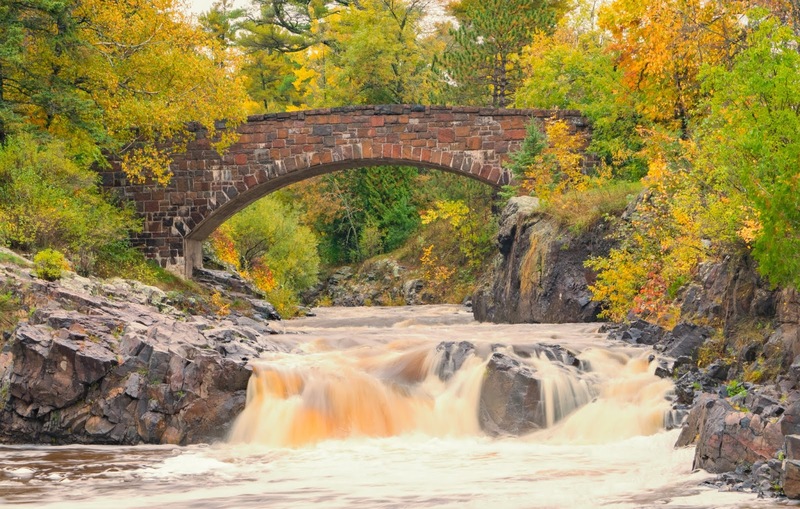 The rivers in the Northland are flowing high due to heavy rains making for some beautiful fall scenery. 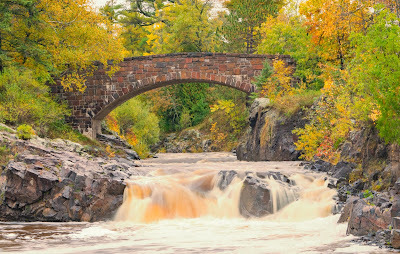 Below is the Lester River Bridge in Duluth. Presque Isle departed and Indiana Harbor switched docks at Two Harbors on Saturday. Lee A Tregurtha departed Superior this morning. Apparently both Jeffery's are still around and they like hanging out together. 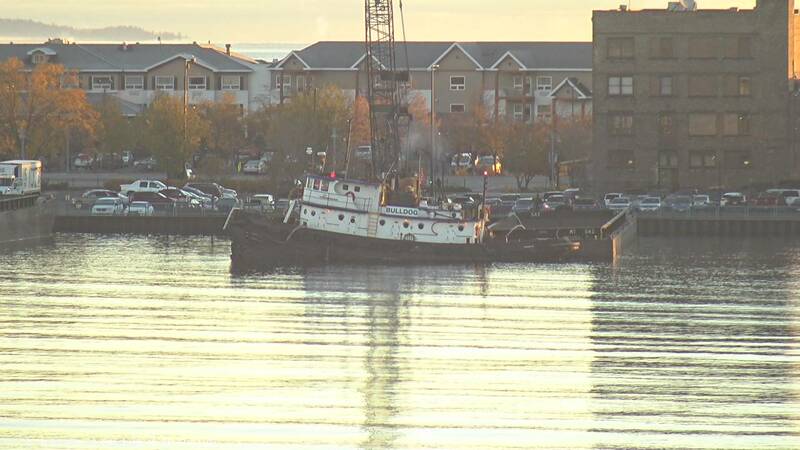 Lee A Tregurtha arrived Duluth Friday evening loaded with limestone. James R Barker arrived Duluth Friday evening to load iron. Paul R Tregurtha arrived Duluth this afternoon. Federal Biscay arrived Duluth this morning loaded with cement. Cason J Callaway arrived Duluth Tuesday evening with a load of Limestone. American Spirit arrived Duluth around noon today.